For this month's featured build video, we put together a system based on our new AMD Ryzen "Enthusiast Gaming" build guide. A big thanks to ASRock for providing the motherboard and Corsair for providing the case used in this build. If you have any questions about the build or components we used, feel free to ask here or on the Build Guide. I have some notes around here with our summary of thoughts I'll try to find and post, but Ryan and Barry went through the case pretty thoroughly in our "First Impressions" live stream a while back. It certainly has some quirks (which are mostly addressed in the 570X), but overall it's still pretty nice to build in. Oh my, what a great build! Pick up some exhaust fans! There's a lot of fresh air coming in with those 3 front fans, so we weren't particularly worried (and the temps seem pretty stable). Could definitely stick an additional fan at the back if you were concerned though. Correct. We opted to not add an extra fan -- our previous experience with the case saw a lot of fresh air is moved across the system thanks to the front fans, though we did use a vertical CPU cooler in that system. I certainly wouldn't argue against adding one if you prefer, but so far the temps look good. Glad you like it, but as a staff build, it won't be featured. Thanks for taking a look and offering the kind words though! The work of our designer, Phil Coffman. He always manages to take great pictures for our builds! Man amd still gets rocked by Intel in the combined test, not sure why that is, cause it's killing your score , nice build though , I'm still an amd fan!!!! PC Part Picker Staff: Never disappointing. Only excellence. I don't think there is a staff build that I dislike. Y'all rock. Also +1 because why not? Really nice build, that case is gorgeous. My OCD goes crazy with the AMD logo on the cooler being unable to be located on the top. Hey, just some questions about the motherboard. How many fan headers does it have? I'm using the same case but I'm adding 3 fans to keep a neutral air pressure. How is the overclocking headroom, like how far can you push it? Also how good is the stock cooler? Wait, what do they do with the PCS after they build them? It varies. Some get put to work around our office. Most get pulled apart for parts to use in future builds (or generally re-purposed in other projects). We usually keep them assembled for a month or so after they are built to answer questions that might come up. I'm about to build a very similar set up which has the exact same CPU, Mobo, and GPU. I'll be using a M.2 2280 NVME SSD instead of a 2.5" SSD. 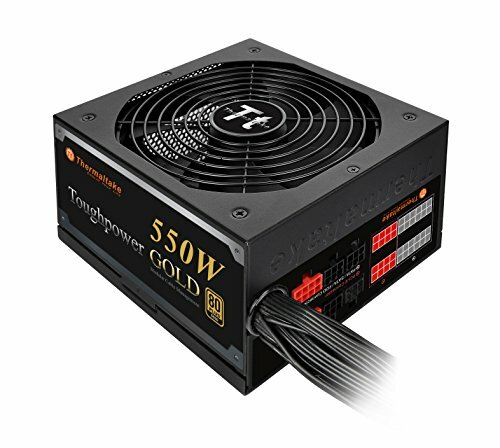 I also bought a 550W 80+ Gold fully modular PSU. However on a second thought, should I have gone with 650W? I'm afraid of hitting the PSU's 550W ceiling limit. I'm not sure if I'll being OC'ing much, but now I'm rethinking my power supply. If your part list is the same except for the M.2, you should be fine. We're only at ~340W max under load (before overclocking) with this build. That's still a good amount of headroom even if you do decide to do some overclocking. I'd have a hard time justifying going beyond 550-600W unless you perhaps plan to add multiple GPUs later. What monitor would you recommend for this build? Stunning build, congrats. I know you guys are very experienced so I'll just ask lol... For this build I wanted to really stand out and I was looking hard at this chassis do you think without severe changes it would be possible to mod this case so that I could have a vertically mounted GPU ? Thanks guys for any thoughts and in this regard. It's a fantastic build. Again congratulations. Thanks -- glad you enjoyed the build. I'm not aware of a simple way (the case doesn't have any built in support for vertical mounts).. It would likely require some modding to add an appropriate cut-out and create a custom bracket to support a riser. How many fps do you get in CSGO and Overwatch? Can you try those out please? Sweet ! Love the RAM, I dont see what exact type your using? It looks like the Avexir Blitz memory seems to have limited availability at the moment. Avexir makes a number of similar modules (ROG Impact, Core, Gaming series, etc) that might work as good alternatives if you like the look of these. i will be powder coating this case, is the case manly metal? is the front hexagonal piece plastic or metal? The core case chassis is metal. The front panel (with its hexagonal pattern fan filter), PSU shroud, bottom fan filters, drive mounts, feet, etc are all plastic. will this build work with an AMD RYZEN 7 1800X? Yes, but note that there are two versions of the 1800X available. You'd need to get the version that includes a CPU cooler or add an aftermarket cooler. Do you think the system would be able to push out 4k gaming? Sure, it's quite capable of 4K -- You can take a look at the FireStrike Ultra and TimeSpy results to see how it compares to expected 4K gaming. It's mostly just a matter of how high you can push the settings in particular games and what frame rate you're looking to hit. Amazing and great looking build! Just wondering, does the case come with a controller and also, will the motherboard work with a ryzen 7 2700?